I have come across to Citrix website while browsing. 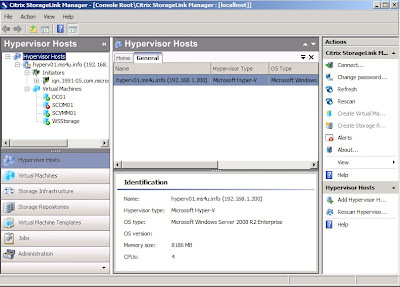 Citrix has recently offered a free Express Editon-Citrix Essential for Hyper V The product helps Hyper-V administrators take full advantage of powerful storage-based features like deduplication, thin provisioning, cloning, snapshots and replication. 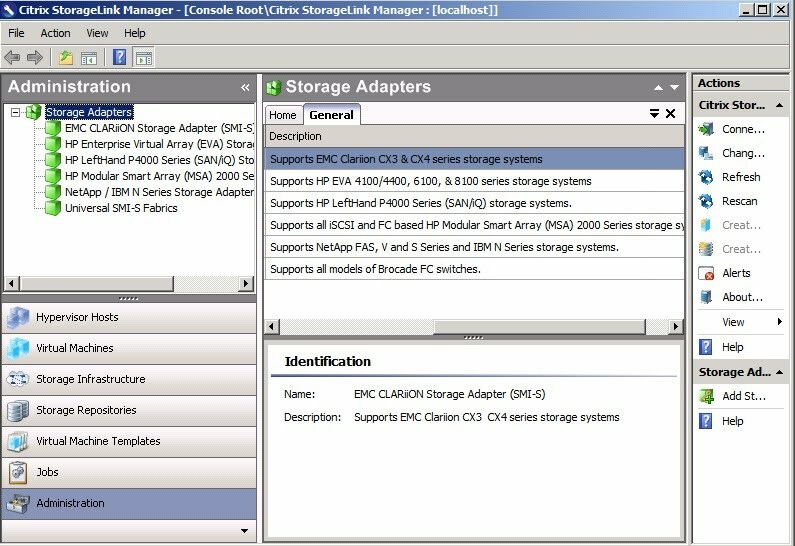 Citrix StorageLink is part of the Citrix Essentials product offering. 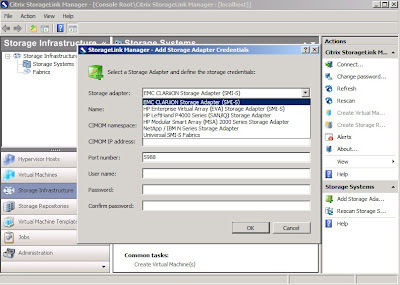 Citrix StorageLink is an enterprise‐class virtualization storage resource management service for Microsoft Hyper‐V and Citrix XenServer deployments. 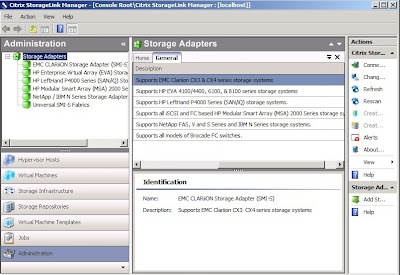 StorageLink accelerates application delivery by automating complex virtual machine storage resource management operations, allowing you to leverage advanced storage services to rapidly bring new virtual machines online, simplify storage management, improve storage utilization and lower TCO. 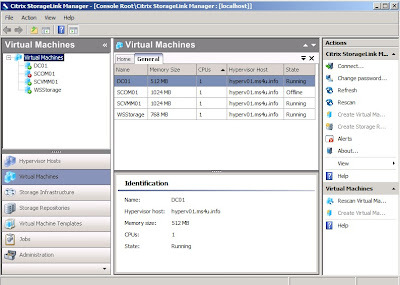 You create virtual machines from pre‐defined virtual machine templates that identify the hardware and storage resources required by the virtual machines. To download, please go to:- http://www.citrix.com/ehvexpress . 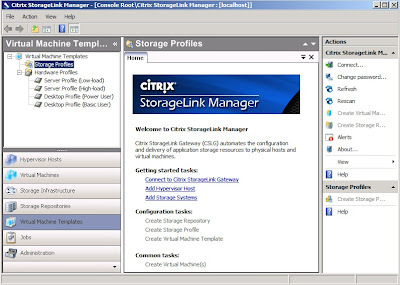 Once download, you can install Citrix StorageLink Gateway and StorageLink Manager on a Windows Server 2003/2008 with Powershell and MMC 3.0 installed. 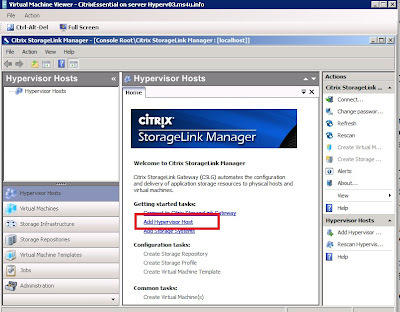 a) Connect to your Hypervisor hosts by clicking on Add Hypervisor host. 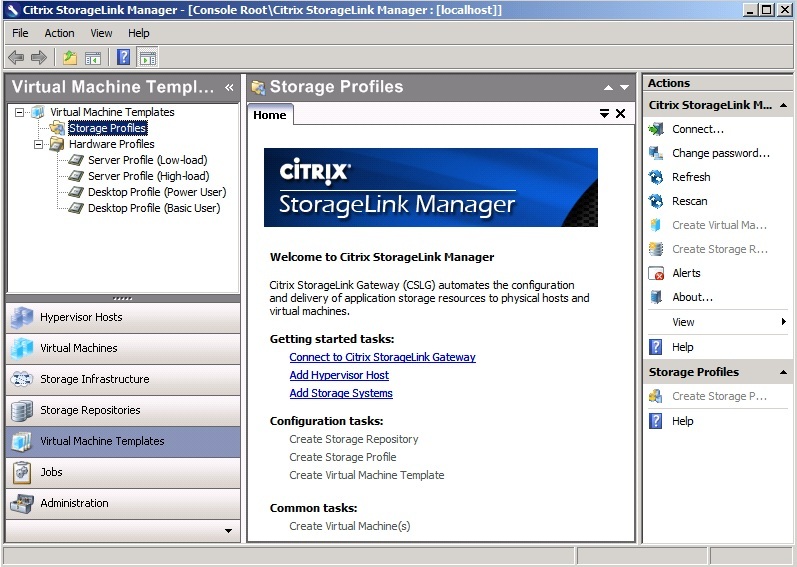 Since i did not have the supported storage, let glance through on the Citrix StorageLink Manager. 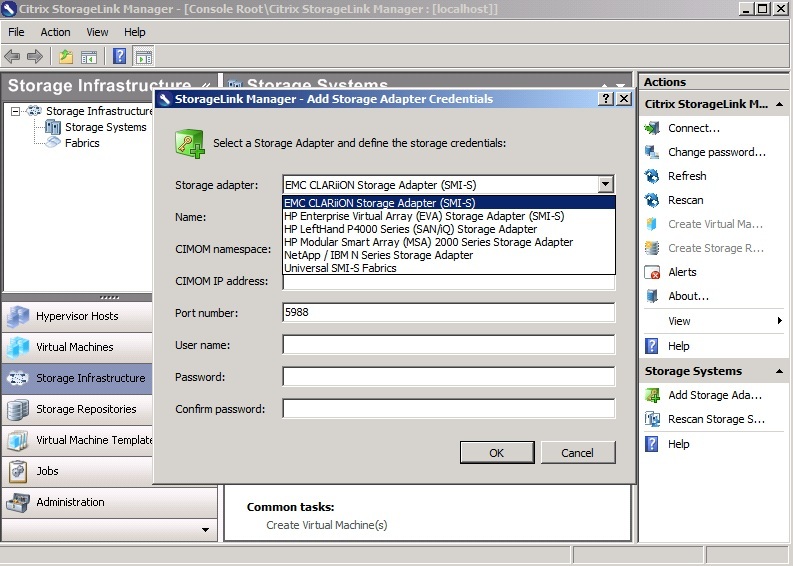 The interface almost similar as SCVMM, so you would not have any problem when using Citrix StorageLink manager . 1. 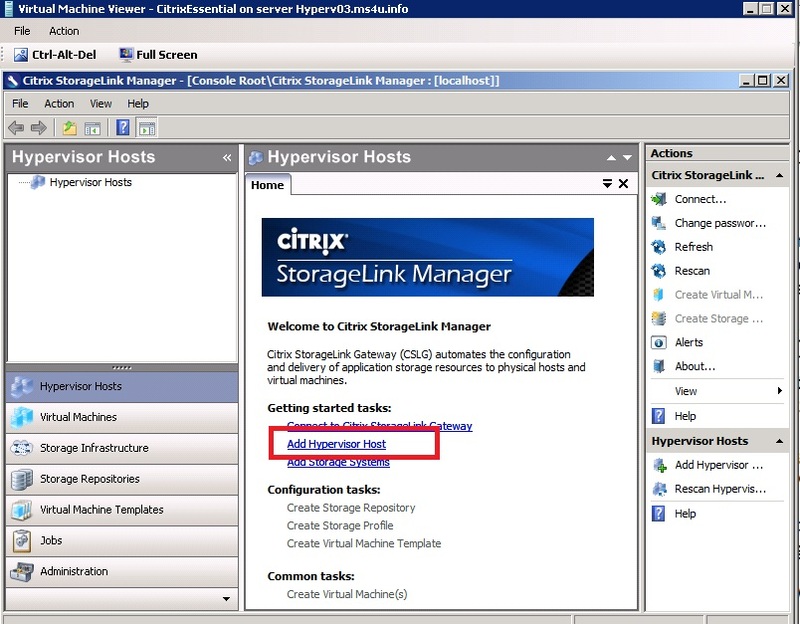 To add hypervisor host, click Add hypervisor host. 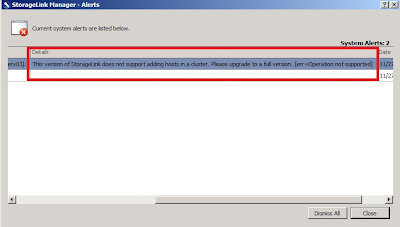 The Express edition, did not allow you to manage Cluster Hyper V host. 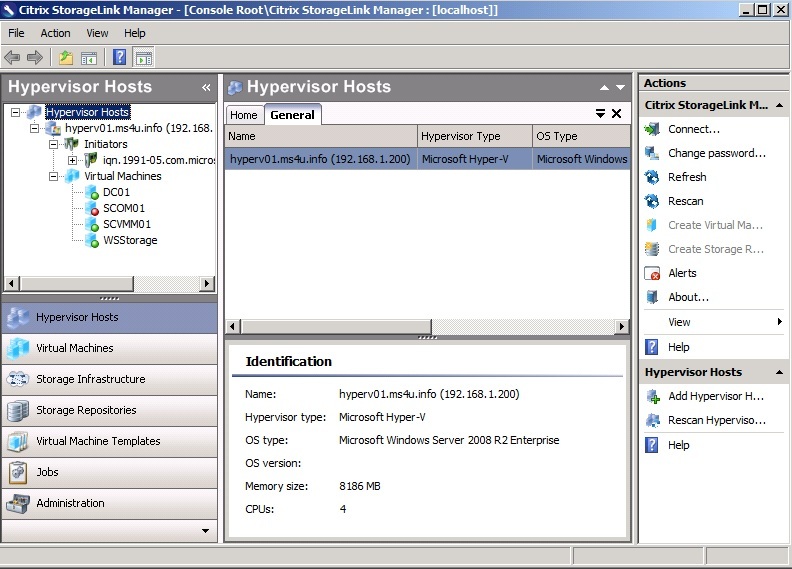 In order to manage, cluster Hyper V host, you need to purchase full edition. 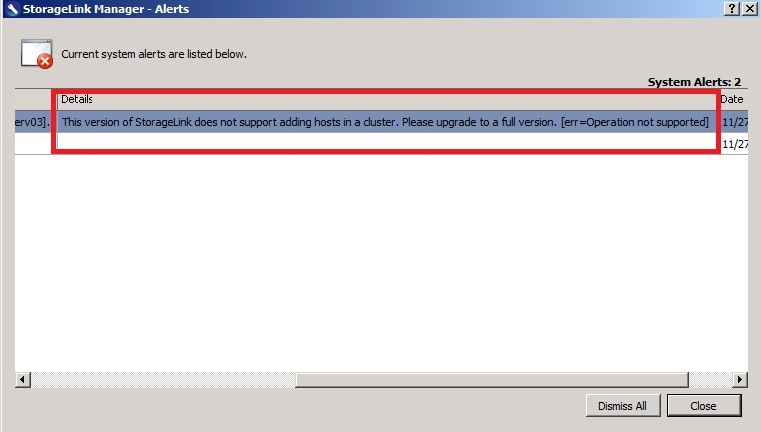 Below is the snapshot of error message that i get when trying to add Cluster Hyper V host. 2. After adding a hypervisor host, you can see the Host and Virtual machine. d) Virtual Machine template pane. Function is identical as SCVMM product. If you have the supported storage, you can give a try for this product.